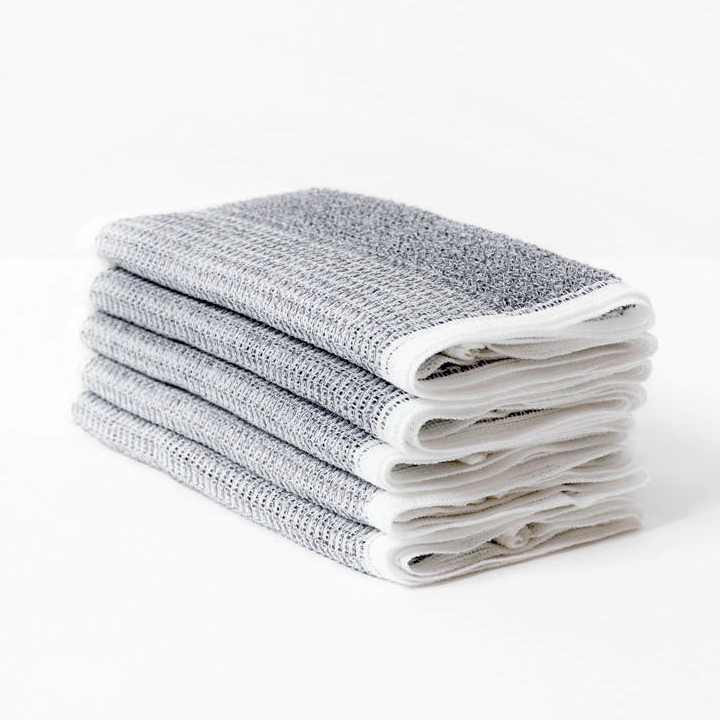 Simple and beautiful, our waffle knit towels are extra absorbent and quick drying, too. 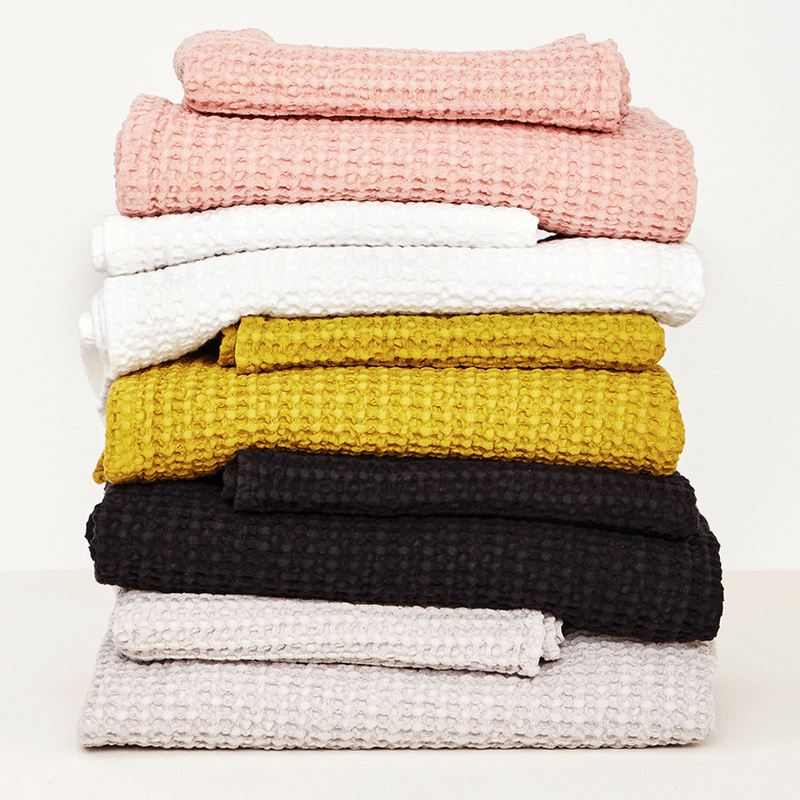 Loomed of 100% cotton in Portugal and stoned washed for softness, a big stack in the bath seems to invite leisure and lingering. Offered in two sizes and five colors that look lovely when mixed and matched. 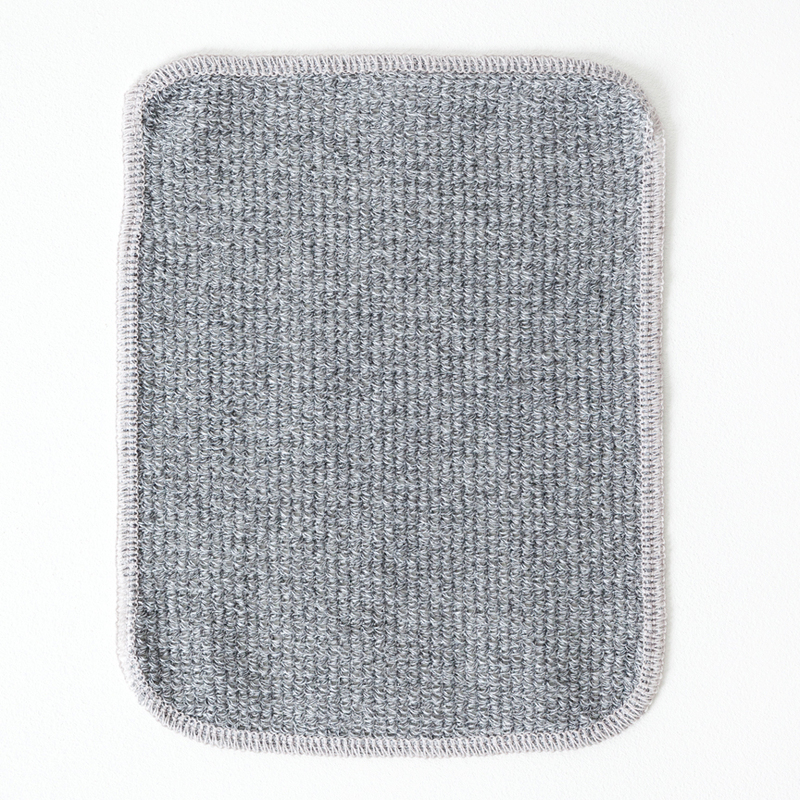 Ultra-fine Binchotan charcoal powder is woven into every fiber of this gently exfoliating face scrub towel. 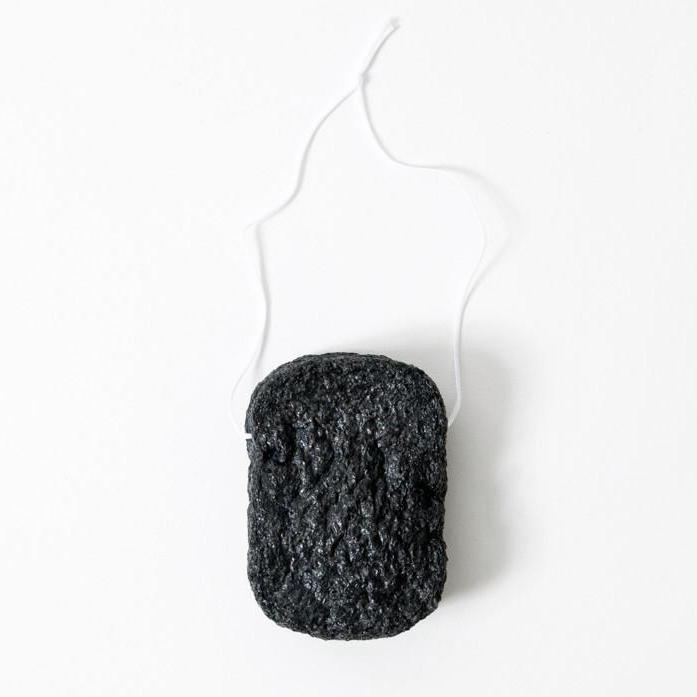 The charcoal helps to absorb oil and impurities from the skin and leaves skin feeling smooth and refreshed. The two-toned surface features a luxurious soft side to massage facial skin and a slightly coarser side for gentle exfoliating. Ultra-fine powdered charcoal is blended into the fibers of this luxurious scrub towel to help naturally refresh and revitalize skin. Charcoal naturally draws out impurities from the skin leaving behind a soft healthy glow. 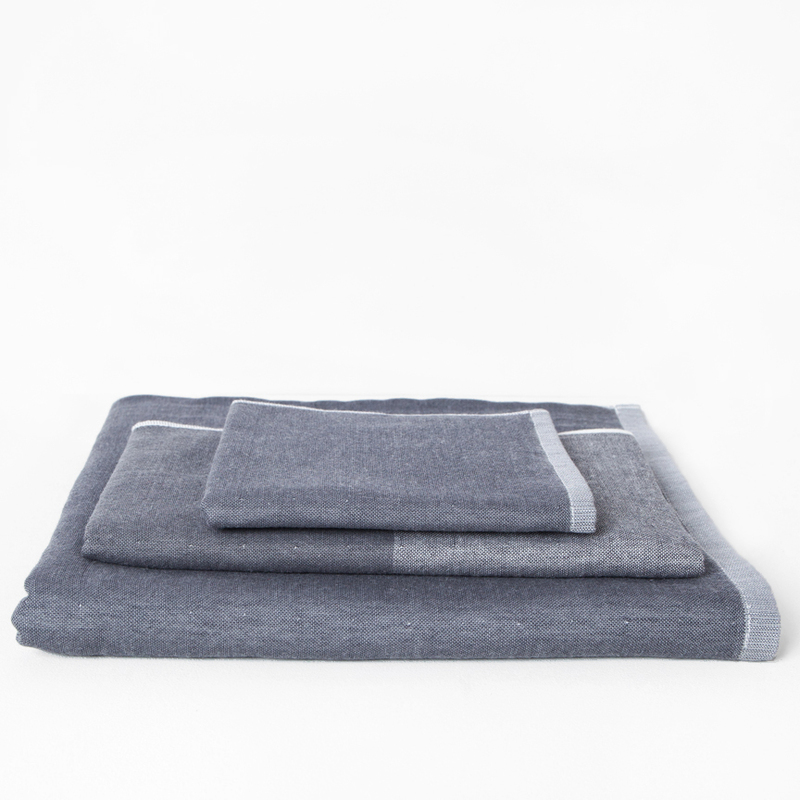 The Binchotan Charcoal Scrub towel features two textures: a softer side for sensitive areas, and a coarser side for gentle exfoliation. 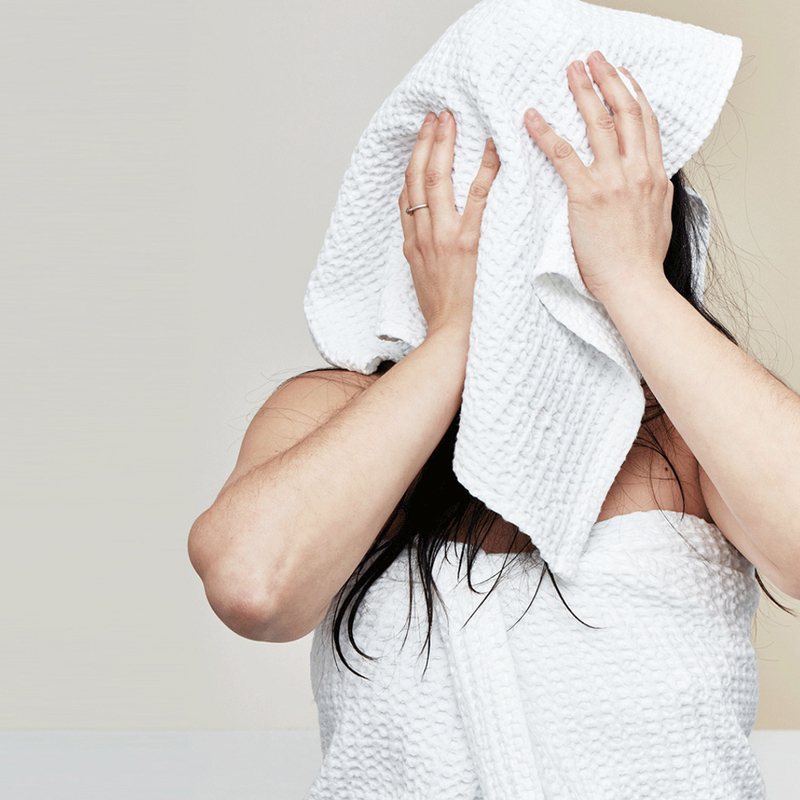 Use daily in the bath or shower to wash, scrub and gently exfoliate your entire body. 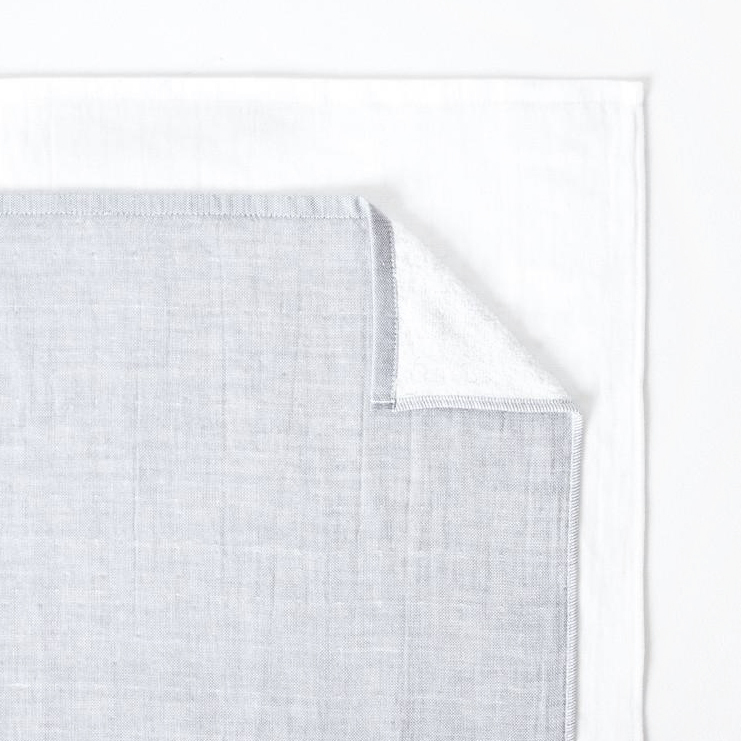 Constructed in the traditionally slim Japanese style, each Yoshii towel has two sides: a soft cotton weave and a looped terrycloth pile stitched together. 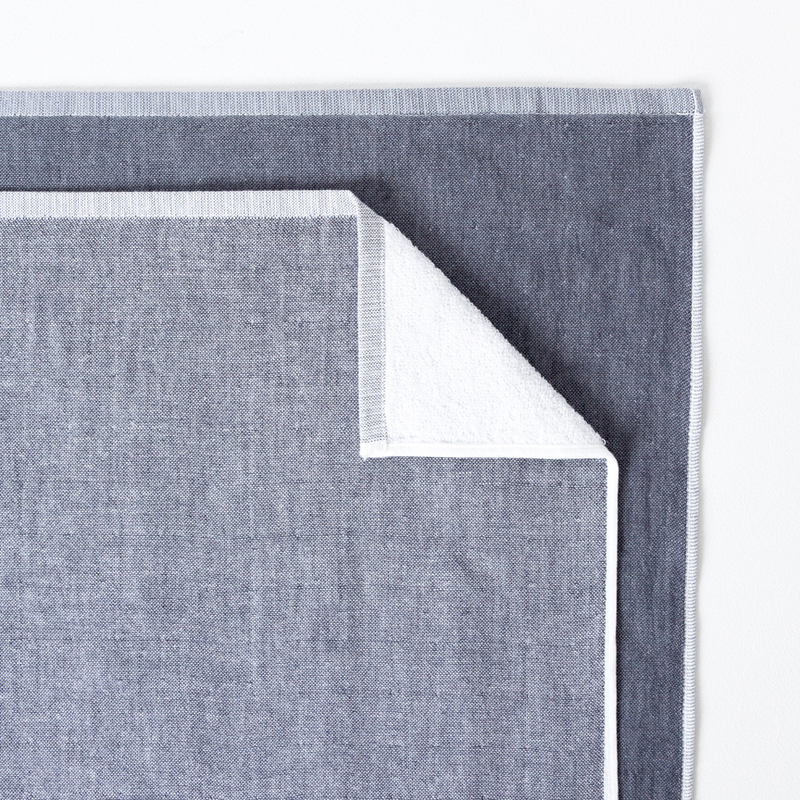 The woven chambray side of this style features a crisp, modern color block design with one half made of pale grey chambray and the other of white chambray. 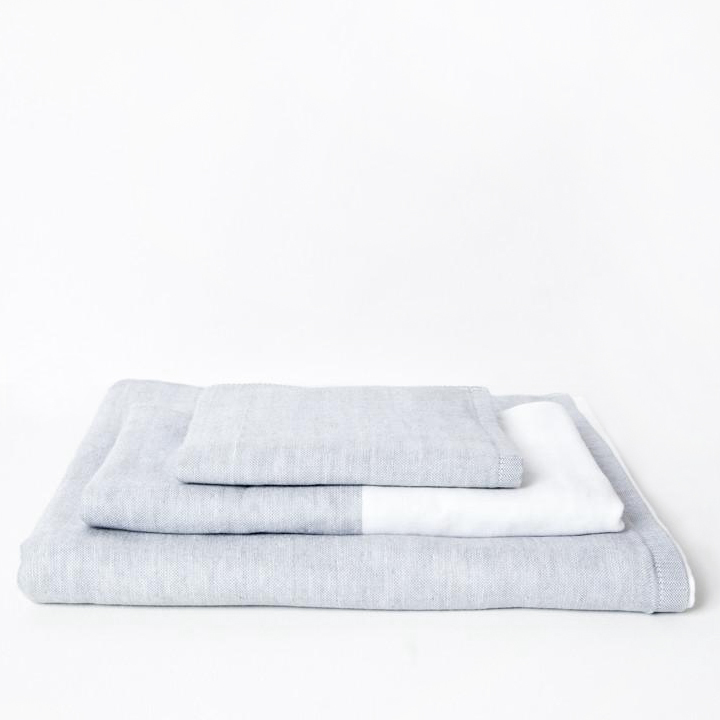 Offered in three sizes, all of our Yoshii towels mix and match with ease.